When I posted about our Christmas cards, I wrote that my mother in law is an amazing artist. 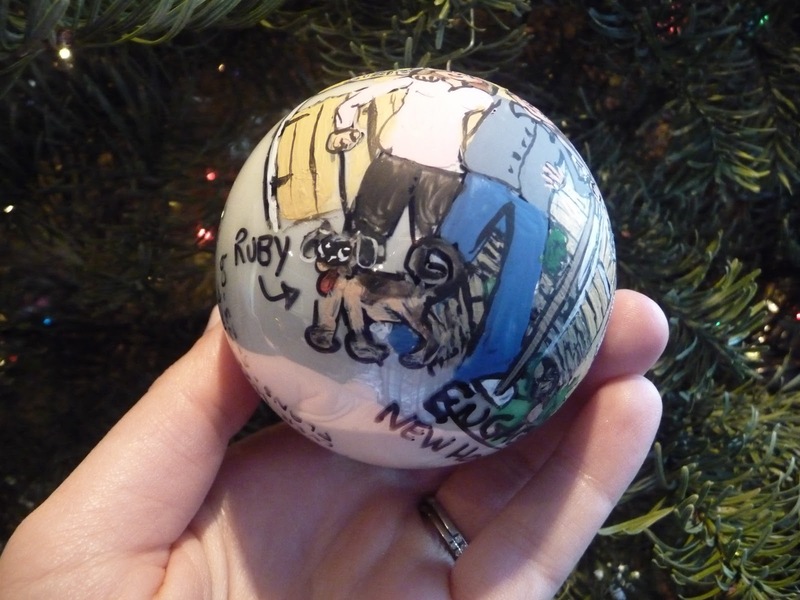 I got the idea for the drawing on our cards from the ornament she paints each year. 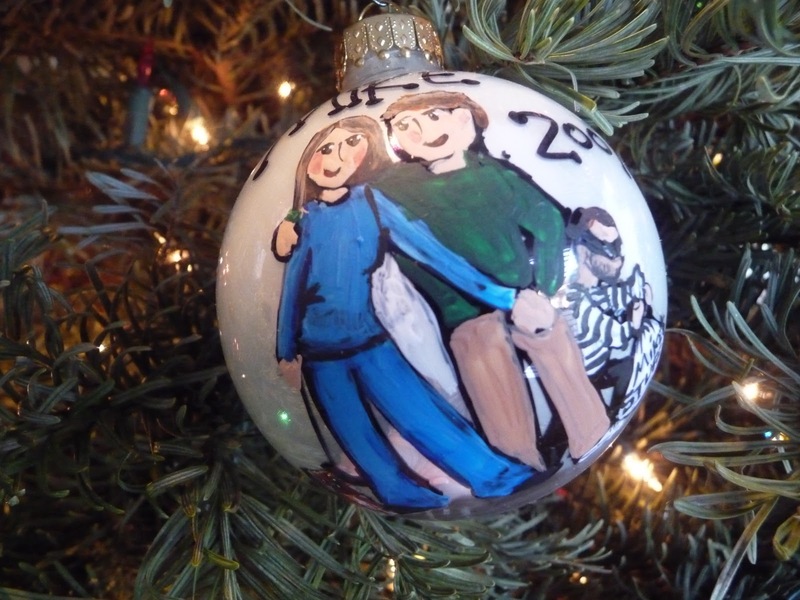 Every year when her kids were growing up, she painted them ornaments with a portrait on the front and a list of happenings on the back. Now, her entire tree is covered in these adorable keepsakes. She also paints them for her nieces and nephews. 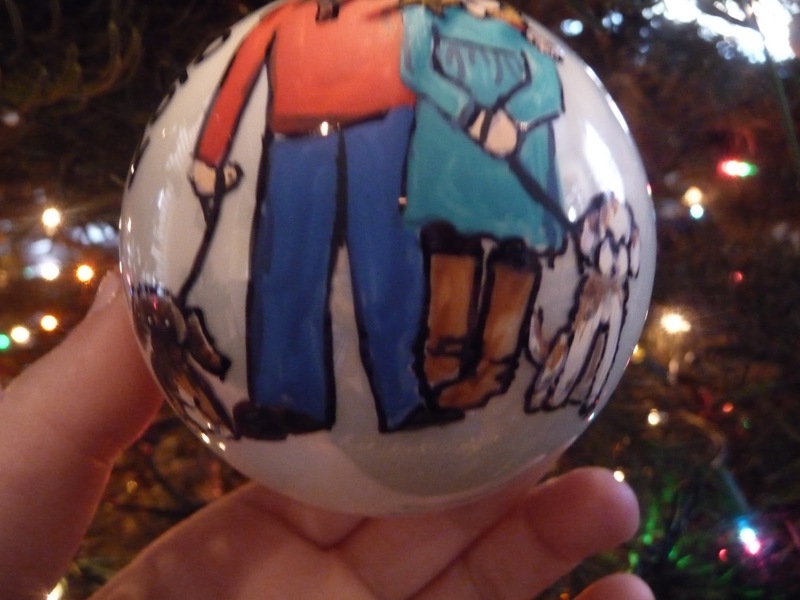 Once you have kids, she only paints ornaments for the grandchildren. My husband has one sister and she has two kids, so her kids get ornaments each year, but not his sister. 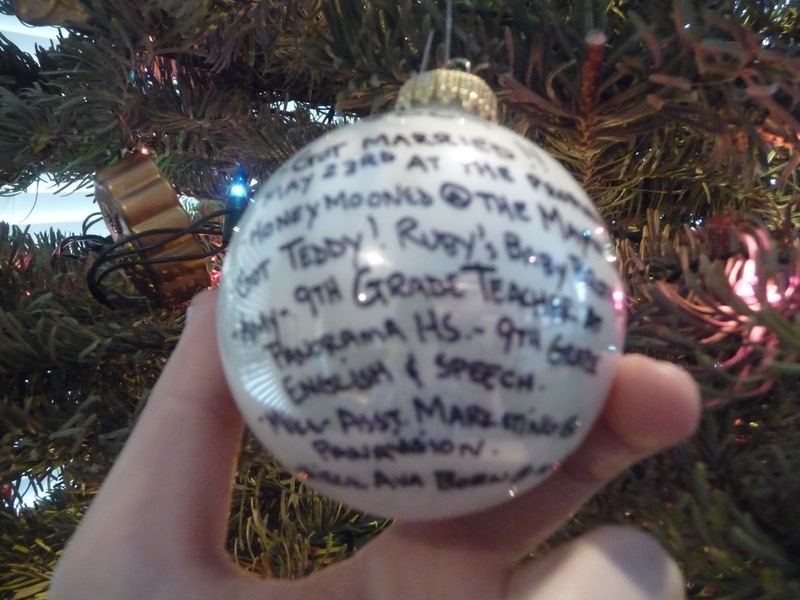 Since we don’t have kids yet, we still get an ornament every year with our family painted on the front and a list of our yearly happenings on the back. This first one is from our first Christmas together in 2006! My husband had just started his career and I was in graduate school (see me with a book on the back of his delivery van?). In 2007, we had moved in together and got Ruby, our first puppy. Just before Christmas that year, someone broke into our apartment and stole a few of my husband’s watches and my Macbook. 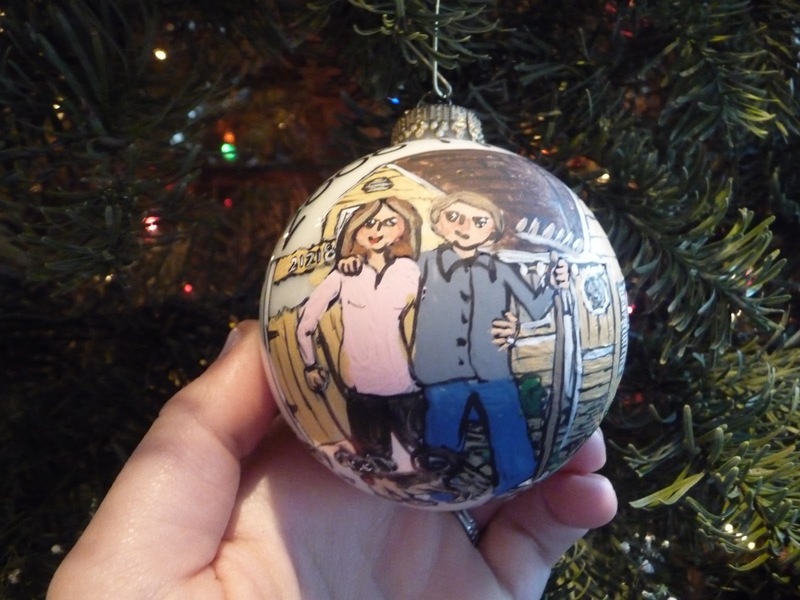 She even painted the crook on our ornament! 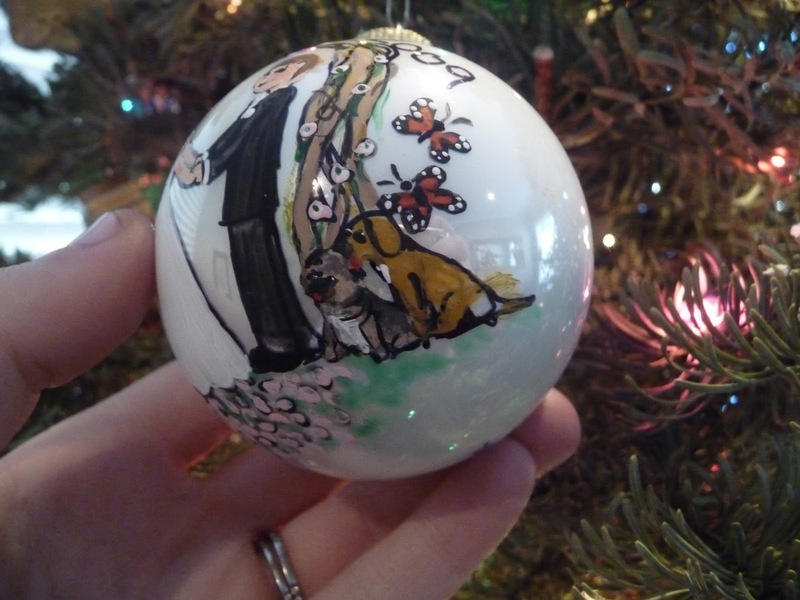 Another tradition is that she paints an ornament for every puppy the year you get them. Then, (brace yourself for something kind of gross) she puts the puppy teeth they’ve lost inside the glass ornament. Here is Ruby’s from the year we got her, 2007. See the teeth? Kind of gross, but kind of cool. She does this for the kids when they lose their teeth, too. This one was from 2008 and has our first house painted on it! See my blinging engagement ring?? Want to know which one is my very favorite?? 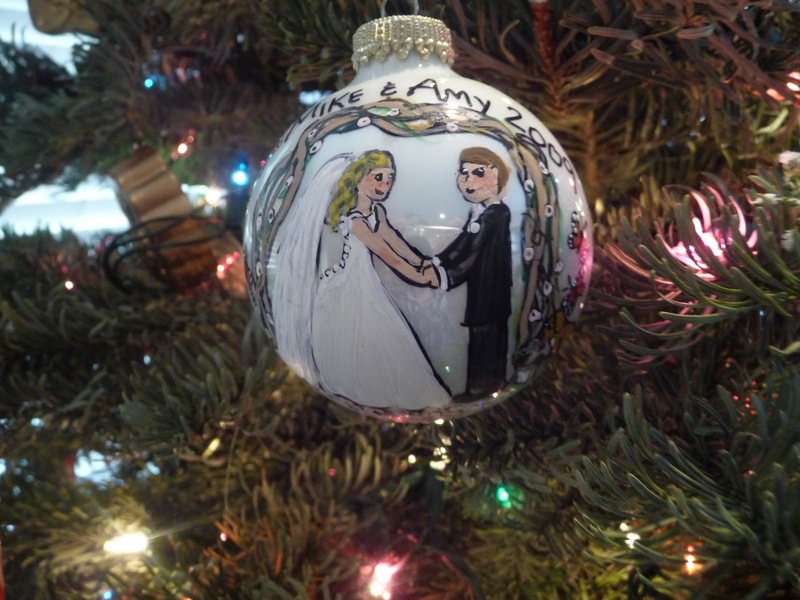 Our 2009 ornament! There we are getting married! And there are our puppies and the Monarch butterflies that my husband arranged to be released during our first dance as a surprise. Here’s what the back of that ornament looked like. So many memories! 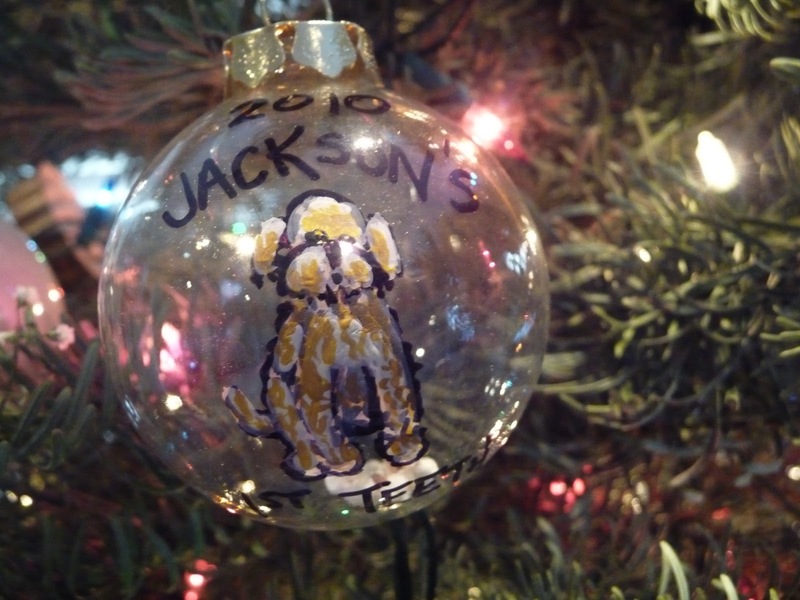 And here is Jackson’s puppy teeth ornament from this year! 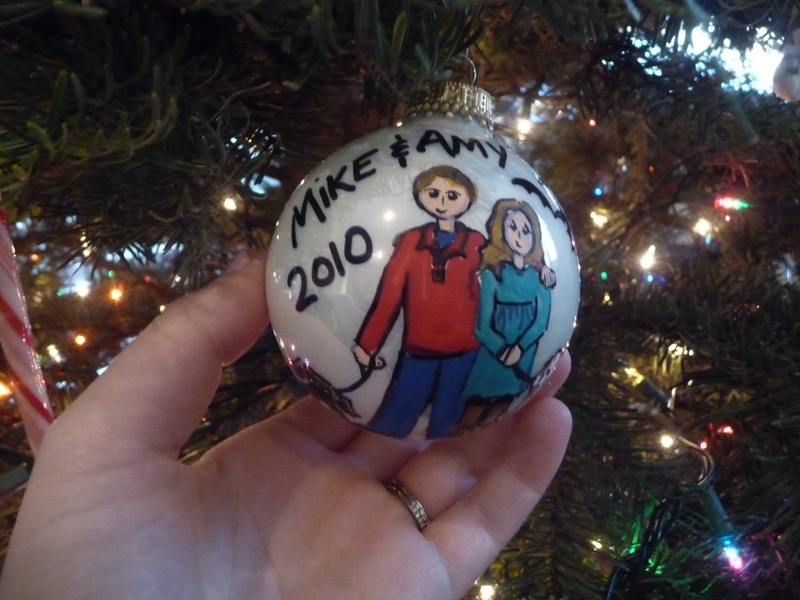 For our 2010 ornament, she painted the same picture that went on our Christmas cards. 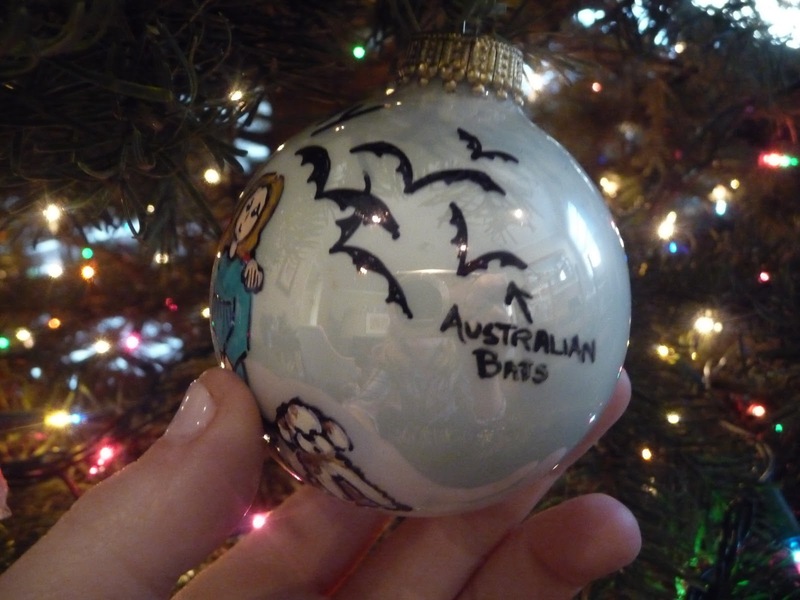 And she added some Australian bats from our trip this summer! I can’t wait until our whole tree is covered in these amazing little works of art! Do you have any unique holiday traditions? I loooove this idea!! I want to start doing that. 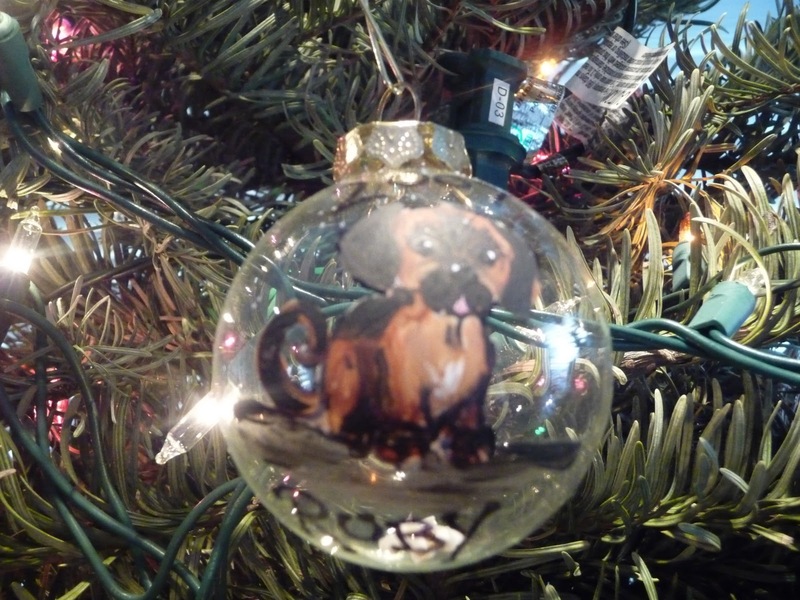 We usually paint ornaments and I still have a bunch from the years, but they are usually Santa's, etc. not something sentimental. WOW. I can't believe I never saw these before. Awesome!! These are so special and so well-made! My family does painted ornaments with one milestone from the year. But seriously, these are amazing. Is she thinking about starting an etsy store, because I'd be first at her door. Wow, your Mom is really talented. This is a wonderful tradition, I LOVE IT!